Google has launched a video campaign to promote its Chrome browser, which is every bit as innovative as the comic-book it commissioned for the browser's launch. The 11 short videos guide you through just what Chrome is capable of, and even have their own YouTube channel. The films (mostly animations) are all under two minutes long and attempt to show you Chrome's USPs in the simplest way, without verging into geek-speak. The shorts are certainly unconventional. 'Defenders in Tights' shows off Chrome's safety features using a tight-clad superhero, while 'Features List' is probably most effective in getting Chrome's message across. In just 90 seconds, Chrome's main features – Incognito, Instant Bookmarking, Crash Control – are outlined. 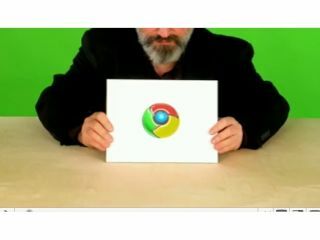 Each video has been created by a separate filmmaker and show Google focusing very much on the simplicity Chrome brings to the browser market. According to a recent survey by Wakoopa, this 'simple' approach seems to be working. A study of 75,000 web users showed that Google's browser was in second place as the most-used, pipped to the post by Firefox and beating Internet Explorer. To view all of the videos, go to ChromeShorts.com.